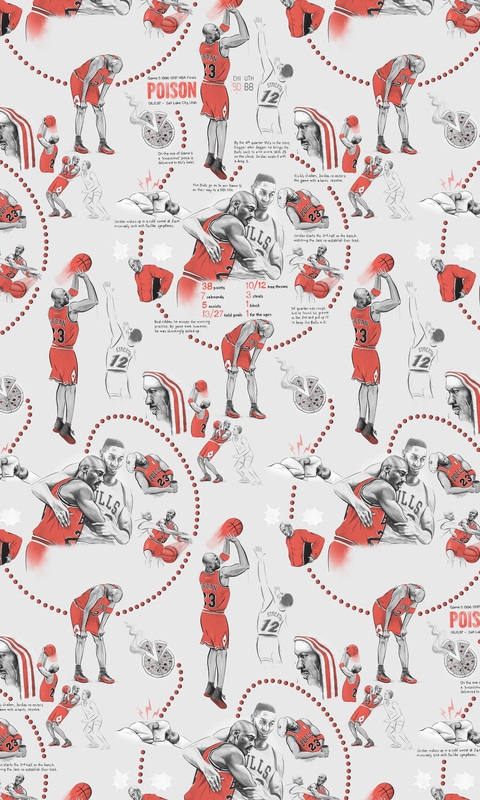 Tiling illustrations for Nike (Jordan Brand) telling iconic stories from Michael Jordan's career. Art directed by Daniel Whiteneck. 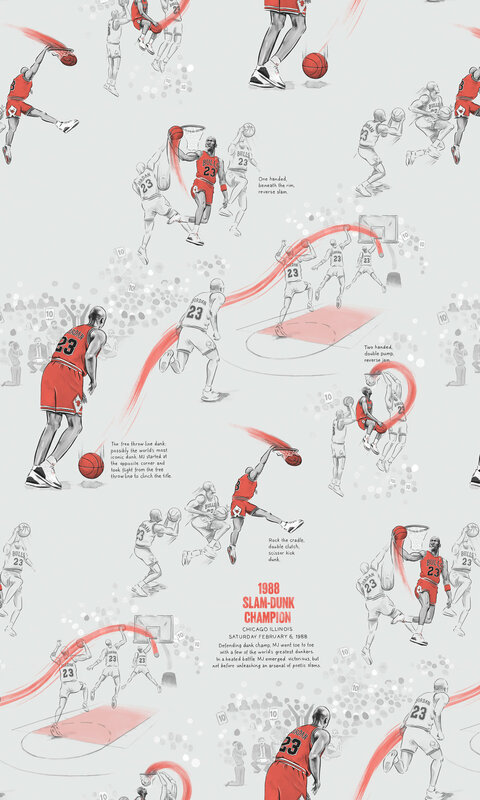 The Last Shot, The NBA 1988 Defensive Player of the Year, The Breakfast Club, 1988 Slam-dunk Champion and Poison (The infamous Flu game) are up as printed wallpapers in the changing rooms of the new exclusive Jordan superstore in Hong Kong and other stores worldwide. You can read more about the store opening at this link.